Independent contractors and freelancers are a great way for your business to manage software/application development and design projects in the interim, or on a budget. 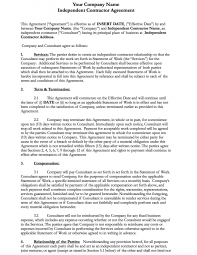 Download this free sample independent contractor agreement. Note: Make sure to check with your attorney and make modifications to the sample template based on your unique needs.